Honey West is a New York City band fronted by singer, songwriter, guitarist and actor Ted Zurkowski. Today, Honey West also includes music legend Ian McDonald — the multi-instrumentalist who was an original, founding member of both King Crimson and Foreigner — and the current lineup recently joined me in FUV's Studio A. (You can listen to the session below). The band's origins center around Zurkowski, who is also a member of the Actors Studio and co-founder of the New York City Shakespeare ensemble, the Frog and Peach Theatre Company. After many successful years in theater, movies and television, Zurkowski found that he was looking for something different. That’s when he decided to stop acting and turn to music, forming the rock and country band, Honey West, sometime around 2008-2009. They played gigs around New York City and recorded an album called Some Other Country, released in 2010. Through these early years, Zurkowski was the band’s frontman and their only constant member. Then in 2011, a chance encounter with Ian McDonald changed Honey West’s fortunes. McDonald’s legendary career began in 1968 when he started working with the progressive pop trio, Giles Giles and Fripp, featuring brothers Michael and Peter Giles and Robert Fripp. This collaboration resulted in McDonald joining the band, which would soon morph into the progressive rock titans, King Crimson, in 1969. Playing saxophones, flutes, clarinets, keyboards (including mellotron) and vibraphone, while also contributing backing vocals, co-writing all of the material and co-producing the album’s sessions, McDonald was the driving creative force on King Crimson’s seminal debut album, In The Court Of The Crimson King. By the end of 1969, McDonald needed to stop. He left King Crimson, starting a duo with fellow King Crimson founder, drummer Michael Giles, who had also decided to leave the band. As McDonald and Giles, they released one acclaimed, but largely overlooked, album in 1970, simply called McDonald and Giles. Afterward, McDonald concentrated on session work, which included playing sax on T. Rex’s 1971 album, Electric Warrior. That is McDonald’s sax on “Get It On,” (commonly known as “Bang A Gong (Get It On)”). He also contributed to King Crimson’s seventh studio album, Red, in 1974. In 1976, McDonald was recruited by guitarist Mick Jones (formerly of Spooky Tooth and the Leslie West Band) to join a new band to be called Foreigner. Playing rhythm guitar, sax, flute and keyboards; as well as contributing backing vocals and co-producing the music, McDonald was the bedrock for Foreigner on their first three albums: Foreigner in 1977, Double Vision in 1978, and Head Games in 1979. His time in Foreigner ended in 1980 and nineteen years later, McDonald would release his only solo album, Drivers Eyes. When Zurkowski and McDonald started jamming together in 2011, they immediately noticed there was a natural musical chemistry between them, and these jams led to McDonald joining Honey West. Now, we have the band’s second album, Brave Old World, which features twelve songs, all written by Zurkowski and most co-written with McDonald. 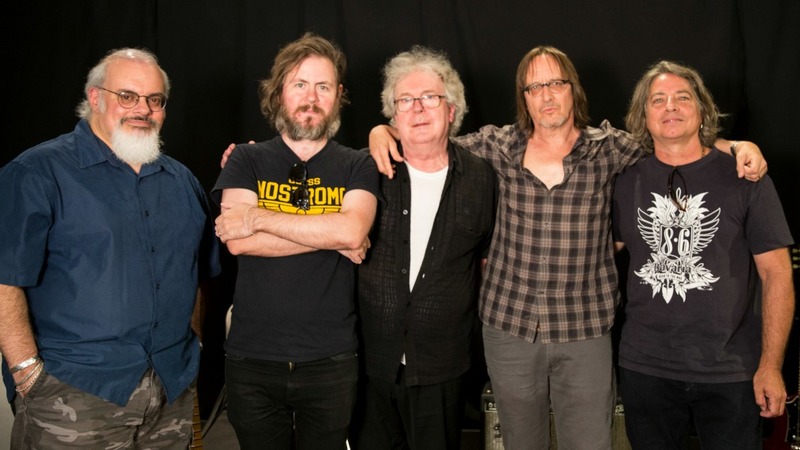 Brave Old World benefits from the contributions of bassists Graham Maby (Joe Jackson, Marshall Crenshaw, Freedy Johnston, They Might Be Giants), Lincoln Schleifer, and McDonald’s son, Maxwell, as well as drummers Steve Holley (Wings) and former Honey West member, Denny McDermott. Since the release of Brave Old World in May, Max McDonald and drummer Tom Curiano (Garland Jeffreys) have become full-time members of Honey West.